Summit Defense only represents individuals charged with or accused of a crime. Our philosophy is simple—it is best to practice in one area of law. We do not specialize in criminal law—it’s all we do. Nearly every day Summit Defense attorneys are in Bay Area courtrooms fighting for client’s freedom, insisting on the presumption of innocence, and taking police and prosecutors to task when they violate your rights. We’re not interested in divorce or dog bite cases. Our focus gives us a depth of experience and expertise that often means the difference between freedom and jail for our clients. Nothing is more rewarding than keeping an individual out of jail or preserving a person’s reputation and clean record. We will always be exclusively devoted to defending individuals against state and federal criminal charges. We believe that by focusing on criminal defense exclusively, we’re best able to serve our clients. Perhaps that is why many non criminal attorneys often refer their criminal cases to Summit Defense. Two heads are better than one. Whether you’re charged with shoplifting or a much more serious felony, it’s critical that everything possible is done on your behalf. Our Bay Area criminal defense attorneys always work together. We all bring unique backgrounds, education, and local knowledge to the table. Our clients benefit from this team approach every day. For example, a Summit Defense client facing a fraud investigation in San Jose would be well served by Collin Moore’s extensive labor law expertise, Mr. Andrew’s law enforcement background, and Ryan McHugh’s local knowledge of San Jose courts and prosecutors. By working together, we can be more responsive to our clients who then get the benefit of several lawyers’ experience. None of us know everything. By working together and sharing successful strategies and knowledge of judges and prosecutors, our clients receive the most thorough and resourceful representation possible. 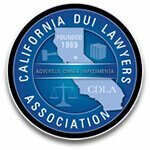 Summit Defense Criminal Attorneys know Bay Area courts, investigators, prosecutors, programs, bail bondmen, expert witnesses….and we are known and respected by the legal community. Our attorneys include a former police officer and three former district attorneys. They have received awards and honors throughout the Bay Area. Our Senior Trial Attorney, James T. Reilly was even honored in the courtroom on the record by a San Jose Superior Court judge. (see James Reilly’s bio). This local knowledge is more than just a familiarity with a particular court. It means understanding that some strategies may be effective in San Francisco but less so in San Jose or Redwood City. It includes the ability to educate a new prosecutor about a first time offender’s program that might be appropriate for a Summit Defense client. By fighting cases throughout the Bay Area and Northern California, Summit Defense attorneys have the advantage of local knowledge without the limitations of a firm whose experience is limited to one city or county. Nothing speaks more of our standing as criminal defense lawyers than our caliber of clients. We have represented a wide range of people charged with criminal offenses, including police officers, CEOs of companies, other attorneys and prominent members of the community. We are also proud that most of our clients come to us by referrals from other attorneys. Choosing the attorney that will represent you is one of the most important decisions that you will make. When you hire your attorney, you should look for someone who both excels in the courtroom and also carefully listens to your concerns. Academic credentials are important, but so are the abilities to listen to the client’s needs and to be responsive. Summit Defense believes that their clients should expect and demand a law firm that provides superb customer service. Summit Defense is proud to have been awarded the highest possible rating for customer service by the Better Business Bureau. Summit Defense has received an “A+” for the past 6 years. I strongly recommend the Summit Team and especially Rabin and Tennille. You can truly depend on them. Give them time to work on your case. Summit Defense will fight for you in the court. Tennille Duffy was exceptional. She worked very hard and in a timely manner. She answered all my calls swiftly. She interviewed the key witnesses to obtain crucial evidence. She kept us informed during the investigation and took care of the case professionally! Because of her exceptional work, the charge was dismissed even before the court hearing. The truth had finally prevailed. We are thrilled that our family member can finally move on from the nightmare of their wrongful accusation, and they were saved from having their life ruined forever. We first met Rabin Nabizadeh in his office. He was very straightforward and honest with us. He didn't have any hidden fees or charges and everything was clearly explained! He organized a great team with an experienced lawyer, Tennille Duffy, to handle this sensitive case, assisted by another lawyer, Ryan McHugh, who knew the local district very well. In addition, the private investigator, a former policeman, was appointed as an investigator for the case. From my heart and soul I knew that our family member was innocent. To prove this, we would need witness's testimonies as well as other solid evidence. Thorough investigations were crucial to win the case. Our family member was falsely accused of a very serious charge. We hired Summit Defense after searching several law firms and interviewing many lawyers. Most of the law firms we looked into had only one or two lawyers working in various law fields. We decided on Summit Defense Attorney because it was exclusively a criminal defense firm; most importantly, it has been collaborating with former prosecutors, police officers, and hearing officers in many cases, and it had more lawyers who collaborated as a team. Echoing all the other positive reviews here, this is truly the best defense firm around the area. I was in a tricky situation awhile back and am extremely grateful to have found the folks here. The attorney I worked with was extremely professional and reliable, and he truly went above and beyond to help me. I don't think I would have have gotten to where I am now without his help. As a firm, all the attorneys are all very experienced (e.g., familiar with the local dynamics, years spent in the courtrooms) and will always fight for you. Without a doubt, I would recommend Summit Defense to anyone who is looking for an attorney and trust the people here to do an exceptional job.